ONTARIO, CA -- The shooter and the two family members he killed at a California cemetery were identified Sunday morning. The victims were identified as 60-year-old Misak Minasyan and 59-year-old Hripsime Minasyan, both of North Hollywood. The man and woman were killed by Ontario resident Karapet Kalajian, 71. 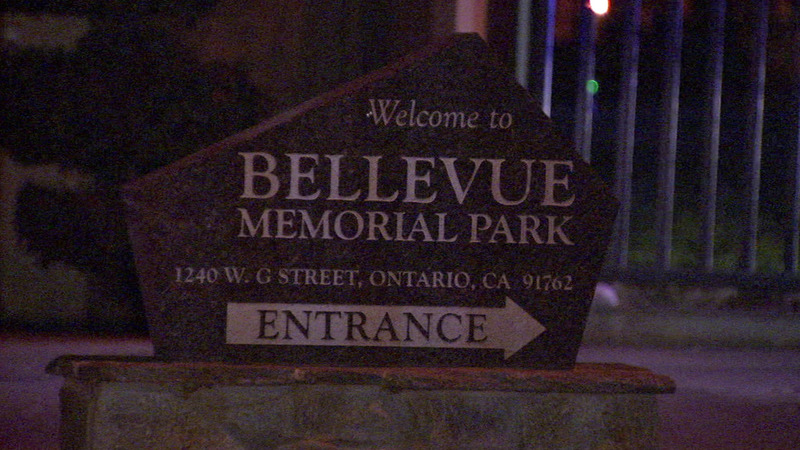 Around 3 p.m. Saturday, the Minasyans and an elderly woman were visiting a grave site at Bellevue Memorial Park. Authorities said Kalajian then got out his own vehicle and opened fire on the couple, eventually shooting himself. On Sunday, detectives learned that Kalajian's wife was buried at the cemetery and the anniversary of her death was Jan. 3. She died after a prolonged battle with breast cancer in 2011. Authorities said Kalajian had difficulty dealing with her death and that he had become estranged from the family for more than a year. The couple that he killed were his wife's sister and brother-in-law. The investigation was ongoing. Anyone with information was asked to call the Ontario Police Department at (909) 395-2912.